Members of Uighur Muslim community say Islamabad is not fighting for their rights as it keeps close ties with China. On a cold winter evening, Mohammad Hassan Abdul Hameed, 34, walks towards his restaurant, past silk stores in the busy China Market in Rawalpindi, Pakistan. He, like many others here, belongs to the persecuted Uighur community from the Xinjiang province of China. Abdul Hameed’s father arrived in Rawalpindi 50 years ago to work in a pilgrims’ guesthouse intended for Uighurs heading to Saudi Arabia for the annual Hajj. Today, the guesthouse sits abandoned in the market, not far from Abdul Hameed’s restaurant. According to members of the community, it was closed down at the request of China in 2006. 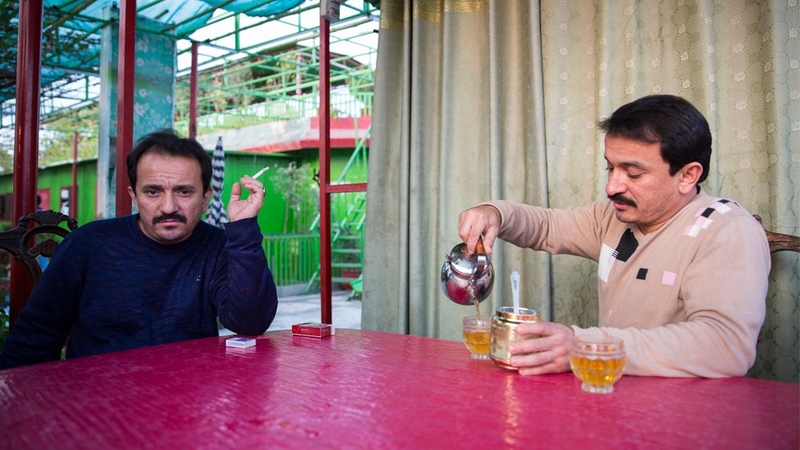 Uighurs have been migrating to Pakistan since the late 19th and early 20th centuries, some to work as traders and others escaping communist persecution. Today, China’s brutal crackdown on the community has made headlines around the world as up to three million Uighurs are believed to be held in so-called “re-education camps” where they are made to renounce Islam. In Pakistan, there are around 2,000 Uighurs and for decades they have kept a low profile in the country – so much so that very few people are even aware of their presence. There is danger for every one of us in Pakistan now. Whoever starts saying I am Uighur, I am Turkistani, is in danger. But their presence here has not gone unnoticed by China, Pakistan’s “iron brother” and a helping hand at a time of economic crisis. According to the community, China has started putting pressure on Pakistan to silence its critics. Beijing has invested $62bn in the construction of the China-Pakistan Economic Corridor (CPEC), which will connect Kashgar in Xinjiang to the southern Gwadar port in Pakistan. China has also promised financial aid to the country, which is desperate to sort out its economic woes. Despite Pakistan frequently highlighting the plight of Muslim minorities across the globe, when it comes to Uighurs, Islamabad does not wish to anger its powerful neighbour. The Uighurs in Pakistan know too well what goes on in China since many have family members who still reside in Xinjiang. Most have not been able to talk to them for the past two years because they have been held in the camps. Others at the China Market have similar stories. 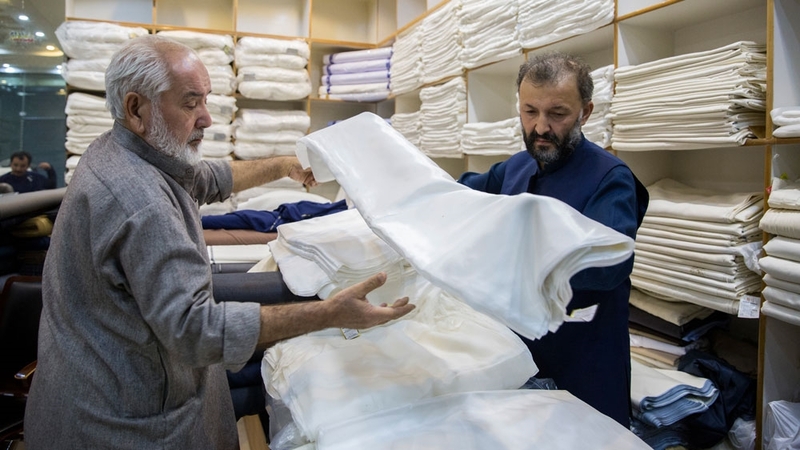 Abdul Latif, a silk trader, has relatives in Xinjiang. “There’s no news about them,” he says. “We can’t call them. If they get a phone call from here, even if they don’t pick it up, after a couple of hours the police will come and ask who called them, what their relationship to them is, how long they have known them, and only with this excuse, they will be picked up. “If someone dies, there is no one to read the funeral prayers,” he sighs. “It is such injustice that even injustice itself becomes ashamed,” Abdul Raheem, another trader, interjects, agitated. According to Michael Kugelman, deputy director of the Asia programme at the Wilson Center, the Uighur community in Pakistan is of some concern for China, despite being minuscule in numbers. “China knows that the plight of Uighurs has already generated major headlines and negatively impacted its global image. So, it doesn’t want Uighurs in Pakistan, where they have more freedom to speak out, bringing more attention to an issue that Beijing wants kept quiet,” he says. Recently, news broke of the Uighur wives of Pakistani businessmen locked away in internment camps in China. Pakistan’s inaction has infuriated the community, although it has not come as a surprise. “Pakistan is the greatest friend [of China]. Higher than the skies, deeper than the oceans,” Raheem says. While Pakistan often laments the plight of Rohingya, Syrian, Kashmiri, and Palestinian Muslims, you rarely hear Islamabad making statements in solidarity with Uighurs. Some members of the community say they have started facing harassment and intimidation in Pakistan for being too vocal. One of them is Abdul Rehman, who requested his real name not be used because of the risks to himself and his family members in China. “The Chinese government has put everyone here after each other. Me after him, him after me and him after him. We are afraid of each other. We cannot talk openly,” he says. “The problem here is that there is pressure on the Pakistani government from China and the government of Pakistan puts pressure on us so that we wouldn’t talk about [the issues of] Uighurs in the media here,” Rehman says. “The agencies here put pressure on us from their side. They pick us up. They have taken many to safe houses. I am one of them. I was there for 12 days last year,” he continues in a hushed voice. According to Kugelman, CPEC is one of the main reasons that the community has now come under increasing pressure in Pakistan. “Beijing has ample influence over many things in Pakistan, thanks to its frequent largesse and to the trust it enjoys in Islamabad. China’s leverage has further intensified as it builds out CPEC, a major infrastructure project that’s critically important to Pakistan,” he says. But China has also repeatedly raised alarm about what it calls “Uighur terrorists” who it believes are plotting attacks against it from the border areas between Pakistan and Afghanistan. In 2015, Pakistan said “almost all” fighters had been eliminated in army operations. According to Kugelman, the number of Uighur fighters is modest. “Inflating the threat posed by Uighurs gives Beijing a useful pretext to crack down on them,” he says. 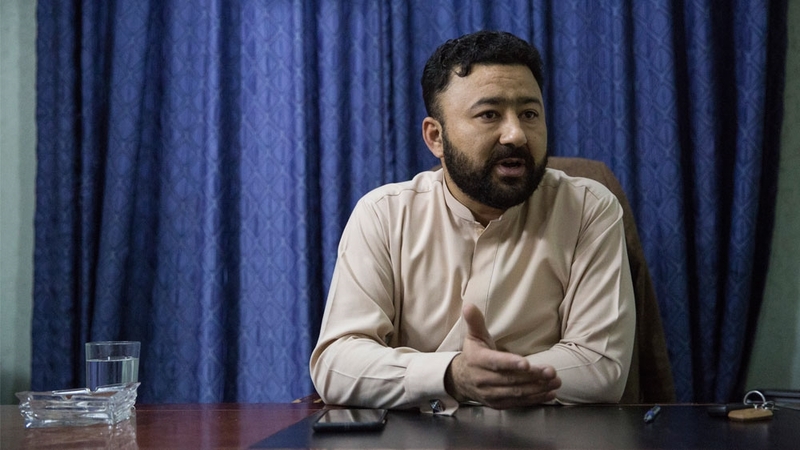 Mohammad Umer Khan, a founder of an organisation called Umer Uighur Trust in Rawalpindi, says the problems for him and other Uighurs in Pakistan have increased significantly in recent years. He says the problems started in 2006. Men, who he thought were from Pakistan’s intelligence agencies, would periodically pick him up and detain him for a day or two. In 2010, Pakistani authorities closed down a school he had set up to teach the Uighur language to the community’s children, he says. “They used violence against me and they put my name on an ECL (exit control list) so I couldn’t travel anywhere,” Khan says. His name was finally removed from the list in 2014 after he took the matter to the Supreme Court. About a year ago, he says, he was picked up again and held for around two weeks. Khan says he was beaten severely which left permanent scars on his left arm. He was subsequently made to sign documents where he promised to no longer protest against China’s policies. Khan’s account could not be verified because the Interior Ministry of Pakistan did not respond to Al Jazeera’s repeated requests for comments. “They say I am ruining the friendship between China and Pakistan,” he says. But Khan says the real issue is not with the Pakistani government. “Definitely [the Chinese] have a hand in it,” he says. The situation, say, analysts, is unlikely to change for the better as long as China continues to hold sway in Pakistan. “It’s quite striking that while Pakistan often laments the plight of Rohingya, Syrian, Kashmiri, and Palestinian Muslims, you rarely hear Islamabad making statements in solidarity with Uighurs,” Kugelman says.”To be fair to Islamabad, it’s not just Pakistan that’s so hands off. The Uighurs are aware of this and are slowly starting to lose hope. Despite the threats, Khan intends to continue speaking about his community’s problems. “I am not against Pakistan or CPEC. But injustice is being done to my nation, to my relatives. I speak for their rights,” he says defiantly.